Our garden memorial stones are a lasting way to honor the memory of a loved one. 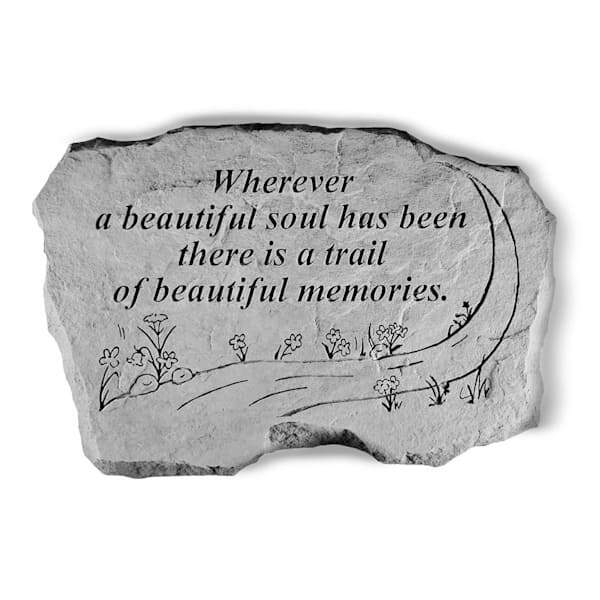 This memorial stone is made of cast stone in Saxonburg, PA.
Made to be weatherproof and guaranteed to last a lifetime, these stones are the perfect addition to any garden. 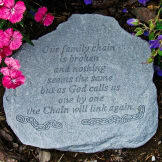 • Memorial stones are only available for standard shipping, and can take up to 1 week to arrive. 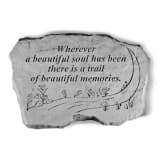 • Weighs approximately 11 lbs. 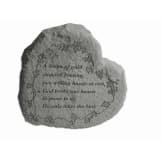 • This stone has a hanger cast into the back to allow display on walls, fences, or outbuildings.